Lost In The Warp: Luxumbra! In case you hadnt seen yet :) my fellow CB judge Angel, of Studio Giraldez, has a kickstarter on the go that is looking amazing (<- click here to check it out!!!). 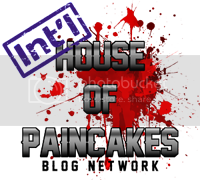 Fully funded in minutes and working towards many stretch goals. I have been waiting for some time to see this campaign come together and it looks impressive! 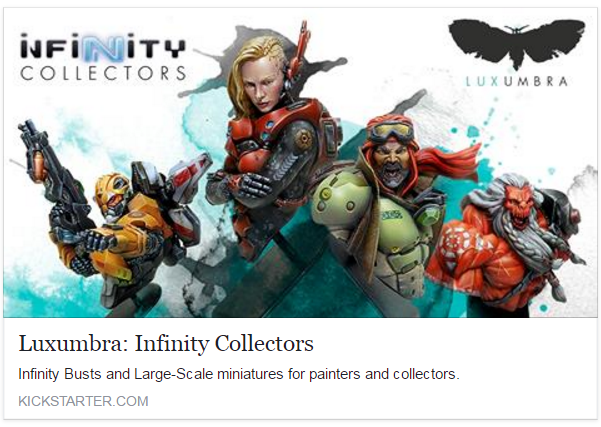 I am not an Infinity player but these busts and figures are beautiful - I definitely want to paint one! The sculpts are evocative and characterful. They appear to be exceptionally well sculpted and cast and represent a nice variety of subjects from the Infinity world. Even for those not associated with infinity the characters have great variety to appeal across genres and styles. Whats more the model stands that have been unlocked are pretty darn cool! I hadn't seen this style of plinth before but I REALLY like the clean aesthetic of them They could be used as display stands or as holders while painting and are priced very well. Best of Luck to Angel and the crew at Luxumbra! WoW! I mean like hell, but wow! I can't do the 28mm ones justice how the hell would i tackle those o_O They look beautiful though - this will be and smashing success!